Today, Congress awarded the Congressional Gold Medal to the four girls killed in the 16th Street Church bombing in Birmingham, Alabama on September 15, 1963. These girls, Addie Mae Collins, 14; Carole Robertson, 14; Cynthia Wesley, 14; and Denise McNair, 11, were preparing for church when the bomb exploded. This unprovoked attack by white supremacists, and the police/protestor conflicts that followed, pushed Congress to pass the Civil Rights Act of 1964 and the Voting Rights Act of 1965. Senate Majority Leader Harry Reid (Nevada) said, “That outrage sparked by the deaths of these four innocents ignited the civil rights movement like nothing had up to that time.” Let us never forget the lessons learned through difficult times. To learn more about the Civil Rights Movement and Birmingham’s pivotal place in history, read these articles. Kelly Ingram Park. Located across the street from the 16th Street church, this park’s statues illustrate the violence that occurred there and the reconciliation that followed. Birmingham Civil Rights Institute. This museum has affected me like no other. It thoughtfully, accurately and sensitively conveys the history of racial tension, violence, and discrimination. The message of hope for now and the future is clear as well. 16th Street Baptist Church. This site offers information on the 50th Anniversary memorial services and more happening at the church this month. This is a great resource to learn more. Before my first visit to the Birmingham Civil Rights Institute, I had only a passing understanding of America’s civil rights history, that which I learned in my history books. 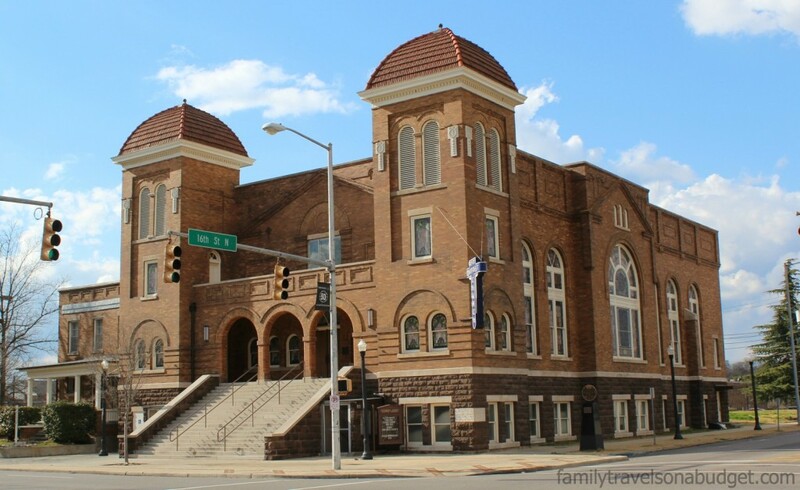 Kelly Ingram Park, the 16th Street Baptist Church and the Birmingham Civil Rights Institute offer a balanced, truthful look into America’s not-so-distant past, challenging us to think and encouraging us to love. Birmingham’s Civil Rights District is worthy of a visit any time of year, but especially now — as these four young girls are honored. Admission is $5/person and you should plan ahead for your tour. To learn more, visit the church’s website. “Thank you for your attention to this very public and still, very emotional issue for family members of the four girls. As we move toward the next 50 years and 100th anniversary, perhaps Cynthia Morris will gain her true identity in history. For the past 50 years she has been misidentified as Wesley. Now is the time to begin correcting history. African-Americans, especially the poor and uneducated, voices were suppressed during the 1960s. Today, whether poor or rich, educated or uneducated, their voices will no longer be silenced. The late Mrs. Morris and Cynthia’s siblings tried to correct this, to no avail. Please join the effort to correct history. Give Cynthia Morris back her true identity. Thanks for sharing this story with us. We need to remember history. We do. Otherwise, we repeat it.